Overall this is a state of the art High School slated for 2,000 students with around 440,000 SF. 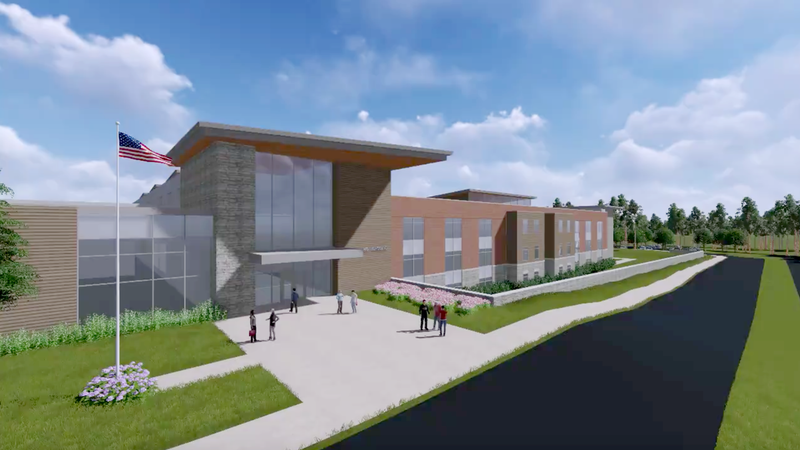 The school includes (3) 3-story education wings, Office Administration, Cafeteria dining, Auditorium with seating up to 800 P, a gymnasium with an attached auxiliary gym and locker rooms. 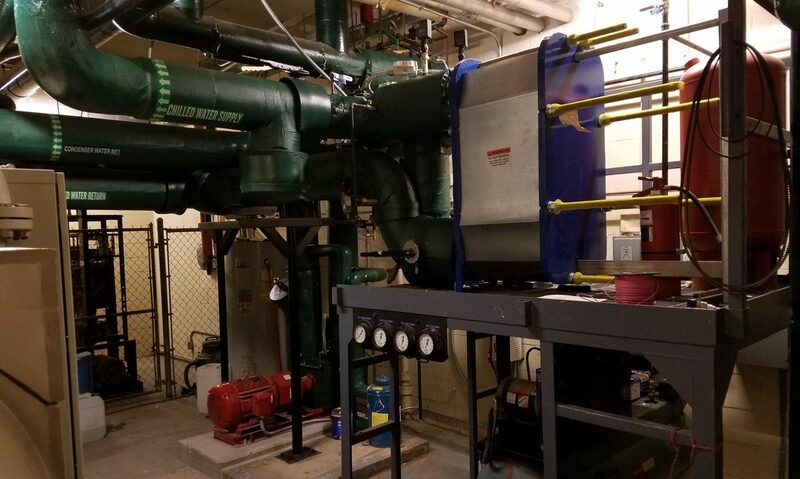 HVAC systems included 800 Tons of chilled water with central CH/HW air handlers and Fan Powered VAV boxes w/ HW Re-Heat. Chillers are Air Cooled scroll compressor type. Hot Water systems includes high efficiency condensing boilers designed with leaving water with OA reset to take full advantage of the condensing boiler. This site is managed by MDI. Please feel free to contact us with any HVAC/Plumbing engineering needs or questions.